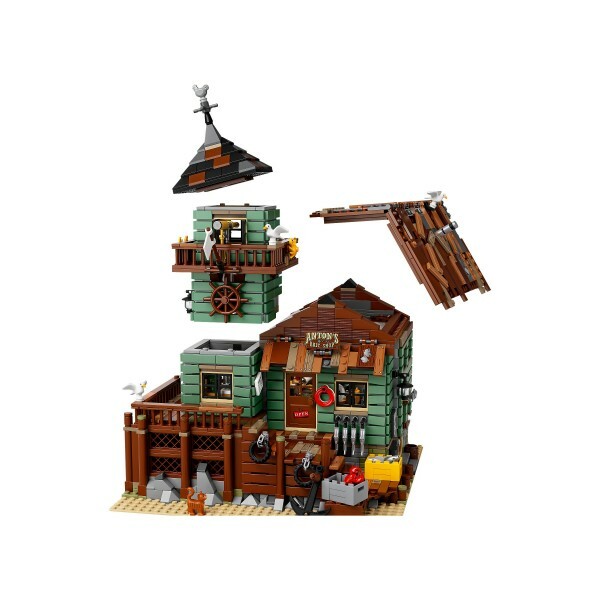 Prepare for the ultimate fishing trip! 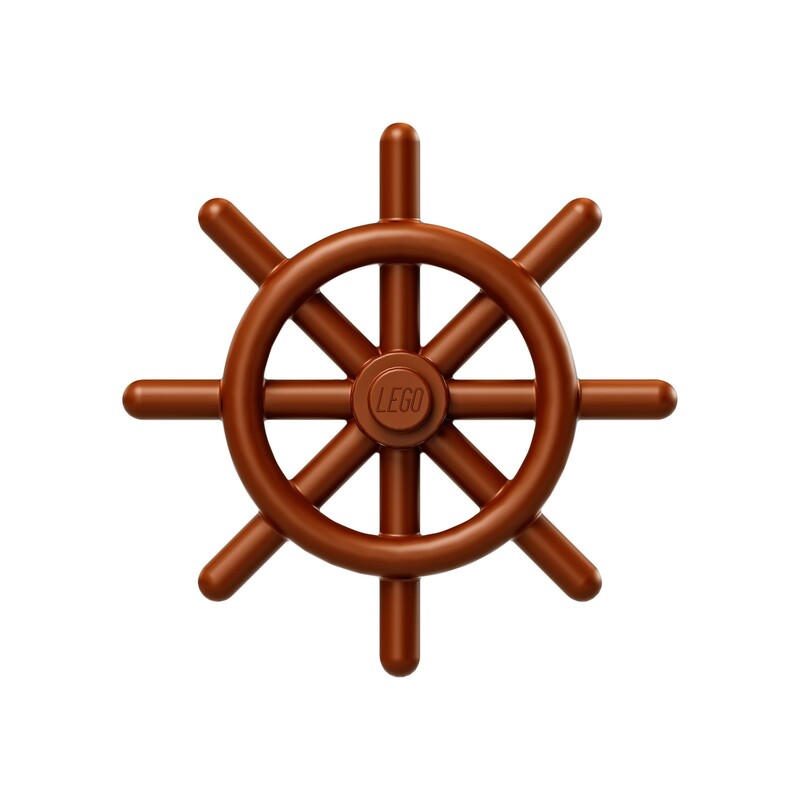 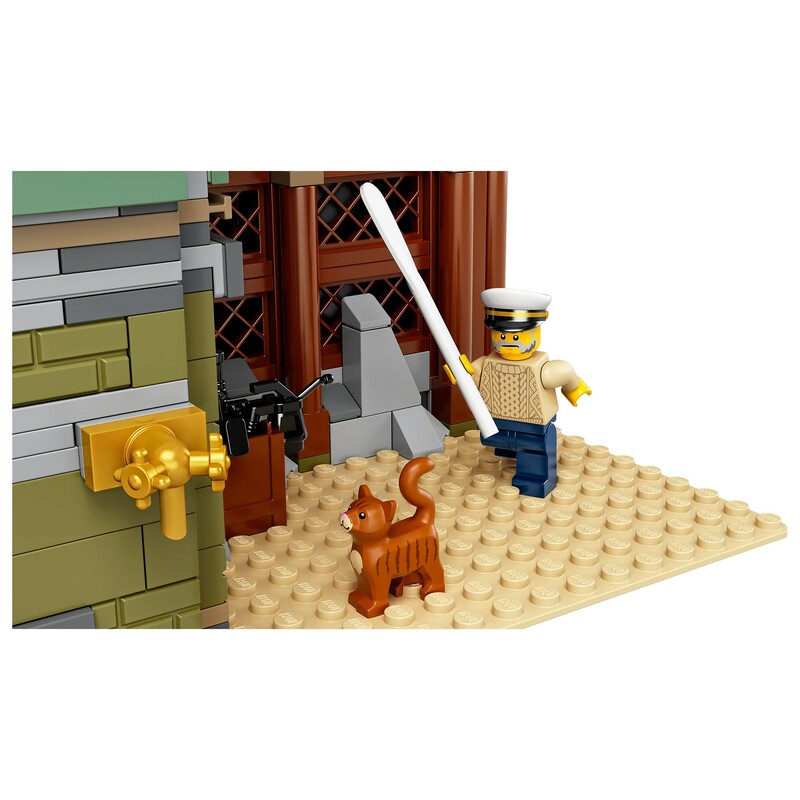 Includes 4 minifigures: a captain, fisherman, fisherwoman and a child, plus cat and 3 seagull figures. 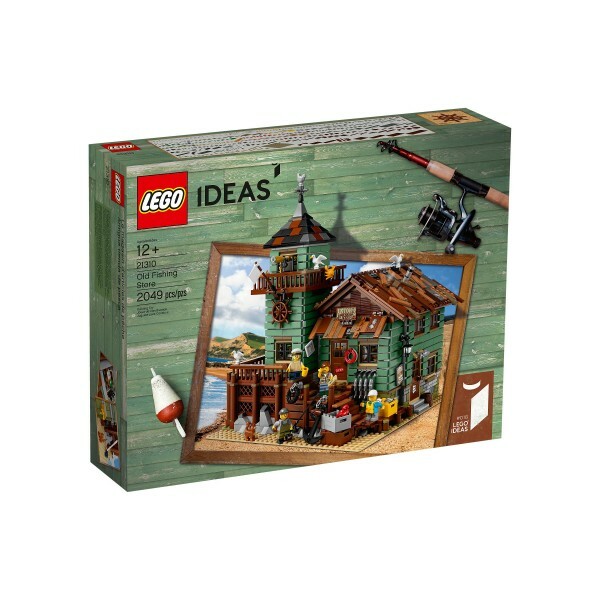 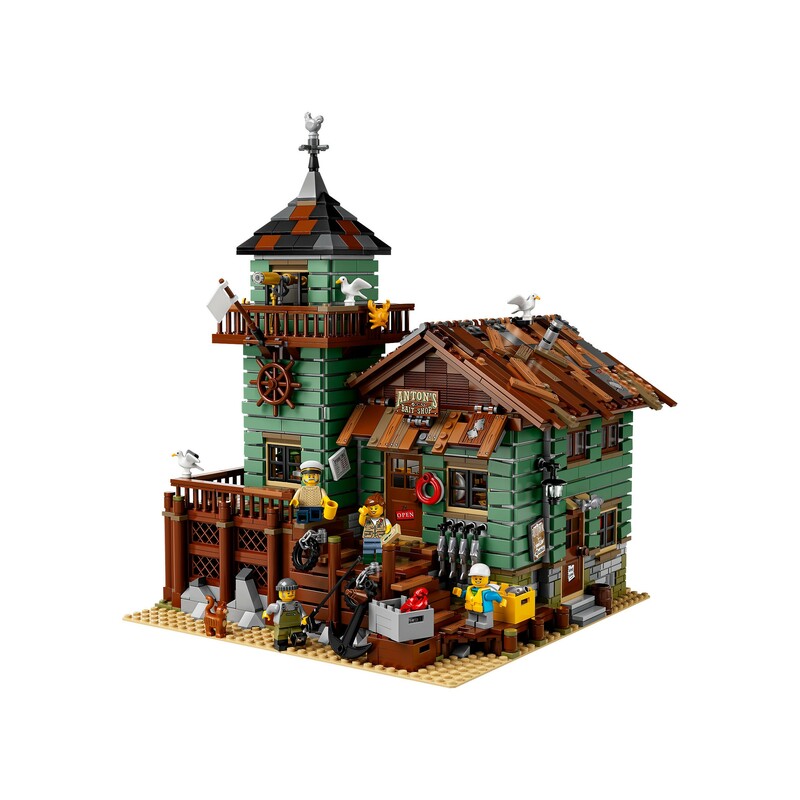 Old Fishing Store features a detailed exterior, shop and connected lookout tower with office, all standing on a sand-colored LEGO 32x32 baseplate with rock-style elements. 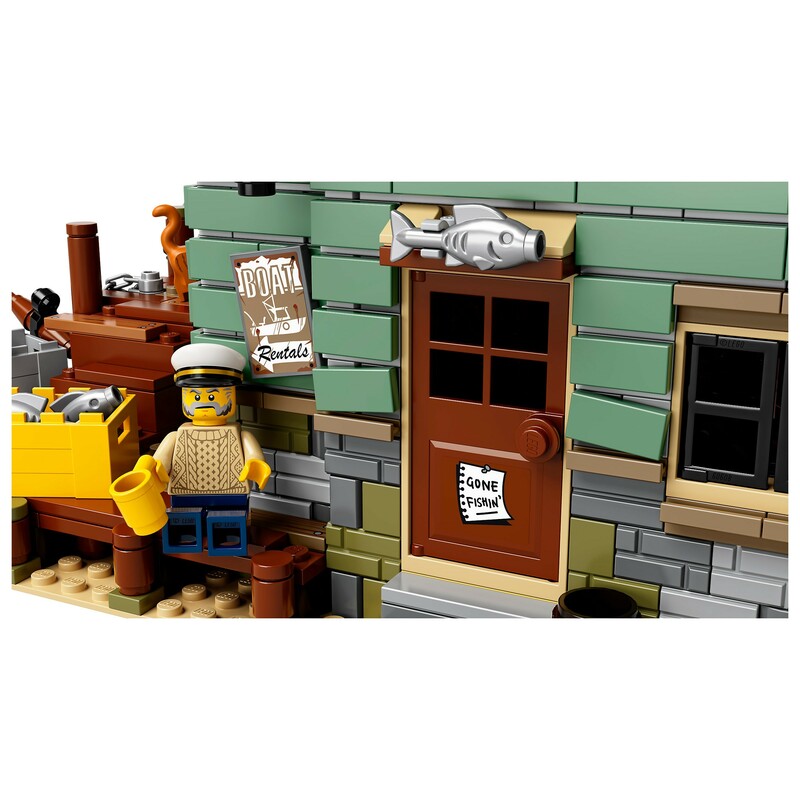 Exterior features steps to the front and side doors of the store, railings, a tap with 2 pipes with meters on the back wall, ventilator and assorted elements including: ‘Anton's Bait Shop' sign (2x4 tile), opening times sign, ‘gone fishin’’ sign, anchor, barrel, 2 tires with chains, 3 crates with 2 fish and transparent ice-style elements, 4 fish hanging on hooks, 2 life preservers, box of hooks (1x2 tile), and a toolbox with a drill, oil can and wrench. 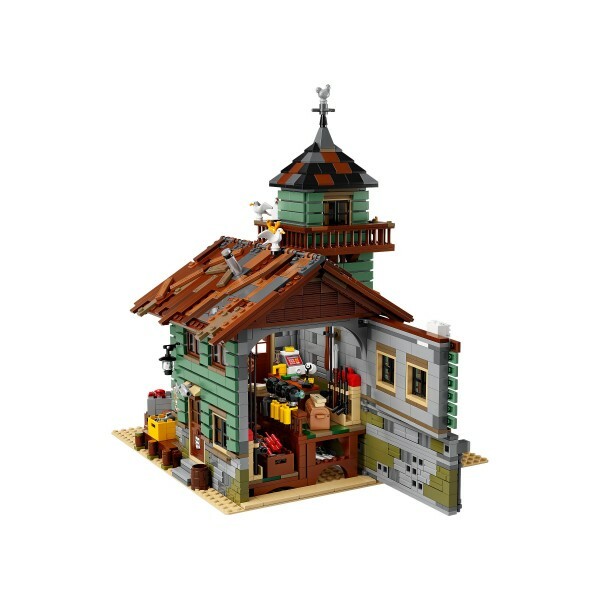 Shop features an opening back wall and removable roof with mismatched timber-style elements and decorative stickers, 2 ceiling light elements, 2 opening entrance doors, 2 glass-style windows, green and beige floor tiles, 4 opening windows, shop counter, display racks, plus assorted elements including: cash register, mug, bottle, hook boxes, cash, desktop lamp, 2 oars, fishing gear including rods, harpoons and fishing nets, 3 diving helmets, 3 oxygen tanks, 4 diving flippers, a sextant, decorated map tile, TNT box, plus a spider and spider's web under the floor. 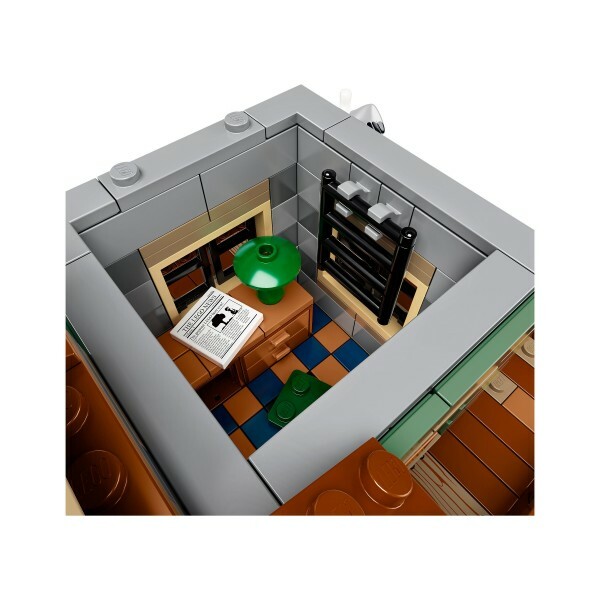 Lookout tower lower level features an office with 2 opening windows, boarded-up window with newspaper sticker, desk, chair, lamp and newspaper elements, plus a ladder to the upper level. 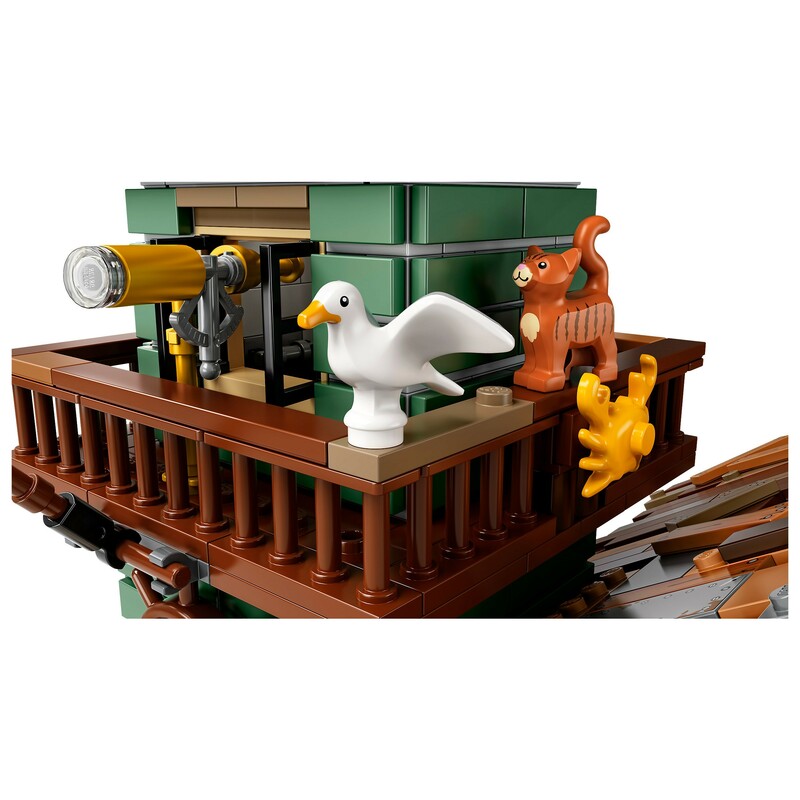 Lookout tower upper level features a removable roof with a weather vane, 2 opening windows, 360-degree viewing balcony, plus assorted elements including a telescope, flag, ship’s wheel, lantern and 2 decorative crabs. 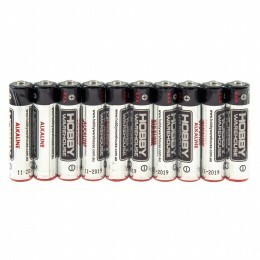 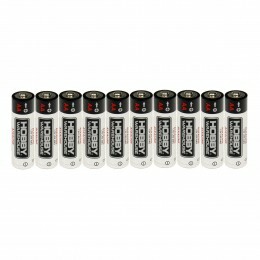 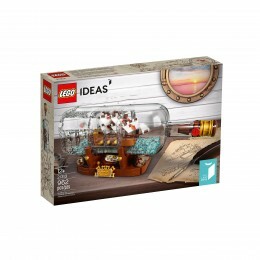 Great for display or role-play fun. 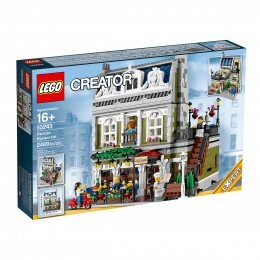 Includes a booklet about the fan designer and LEGO designer of this set. 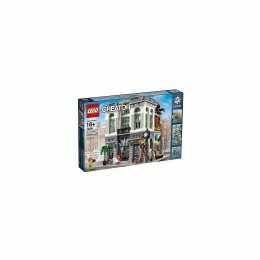 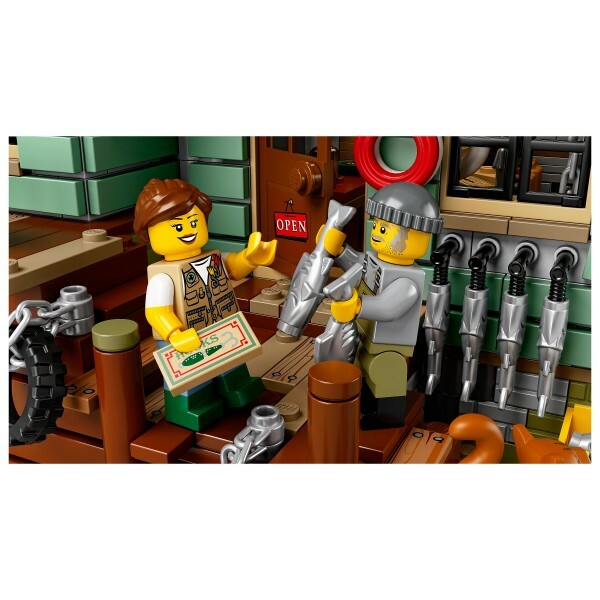 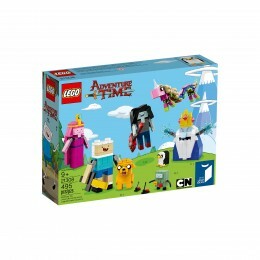 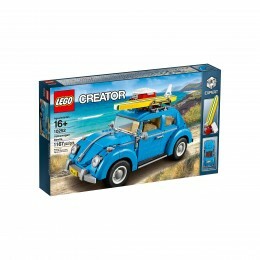 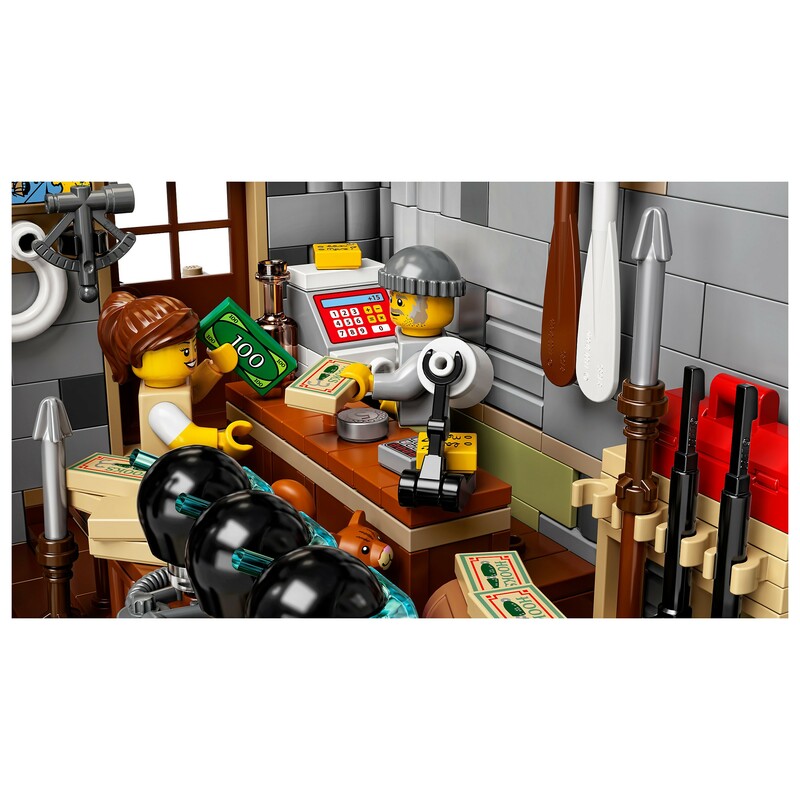 This set includes over 2,045 pieces. Measures over 12” (32cm) high, 9” (25cm) wide and 9” (25cm) deep.